The Government of Zimbabwe through the Zimbabwe Parks and Wildlife Management Authority is sending 10 white rhinos to the Democratic Republic of Congo to enhance its rhino regional conservation program. According to IUCN Rhino Specialist Group, 98% of the world`s white rhino population is in South Africa, Namibia, Zimbabwe, and Kenya. The move is adhering to local and international wildlife translocation protocols, particularly IUCN rhino pre-translocation guidelines and the African Rhino Range States’ African Rhino Conservation Plan. The African Rhino Conservation Plan is designed to secure viable, growing, and valued rhino populations across the African landscape with a goal of ensuring that continental rhino numbers increase by the end of 2020. African Rhino Conservation Plan through Expanding the Rhino Range Area. The exercise is reportedly a deliberate effort to enhance the security and genetic proliferation of the species at a regional level. Zimbabwe’s Rhino Conservation: Zimbabwe is one of the most important rhino range countries in the world and has seen steady population growth of both white and black rhinos. In the recent past, Zimbabwe has been instrumental in repopulating new and rehabilitated former range areas such as the Okavango Delta in Botswana. Eight black rhinos were sent to the Okavango Delta in 2016as part of the 20 country to country rhino donation to Botswana. Poaching and Security Status of Rhinos In the DRC: The Zimbabwean Government is aware that the DRC lost its Northern white rhino population to extinction largely due to poaching. However, for this exercise, a management and scientific assessment of the security and law enforcement status and potential biological proliferation of the rhinos was done to inform the translocation requirements. Since the Northern white rhino went extinct in the DRC, there are no fears of gene dilution with the rhinos intended to be translocated from Zimbabwe which are Southern white rhinos. The Zimbabwean Government was confident that the pre and post-translocation conditions in the DRC met the requisite standards for a successful re-establishment of rhinos in that country. When Mike Canaday started renting goats in 2003, most of the calls he received were from landowners who wanted to clear dense brush on their properties. As word spread about the effectiveness of the four-legged lawnmowers, Canady started fielding questions from prospective customers about whether his herd of 150 goats could eat enough brush to create firebreaks in wildfire-prone areas. The answer was yes. Today, Canaday owns 3,500 Boer, Kiko, LaMancha, and Spanish breeds, and his company, Living Systems Land Management, is so busy that he has to maintain a waiting list for people to rent out his goats. He attributes the growth of his San Francisco Bay Area–based business to a single factor: wildfires. “We are screaming busy from mid-April to mid-July because of the fires,” he says. 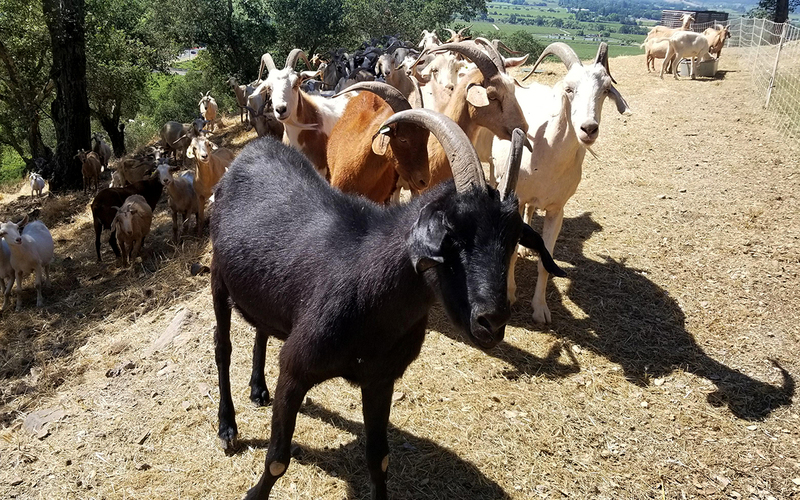 Across California and the West, goats are being dispatched to overgrown patches of land to chomp down vegetation and help create firebreaks to prevent fires from jumping from wildlands to homes and businesses. Thanks to their voracious appetites—goats can eat up to 10 pounds of vegetation per day—and ability to navigate difficult terrain, the ravenous ruminants are on the front lines of fire prevention. While there are no statistics on the number of acres goats are clearing or the number of goat rental businesses offering fire prevention services, there is solid data that climate change is increasing the likelihood that fires will become more intense while also lengthening the fire season. In 2018, 43,255 fires (and counting) have been reported nationwide, burning almost 6 million acres—the highest number of fires since 2012. Scenes of wildfires destroying entire suburban neighborhoods have led to increased demand for goat-rental companies across the West. 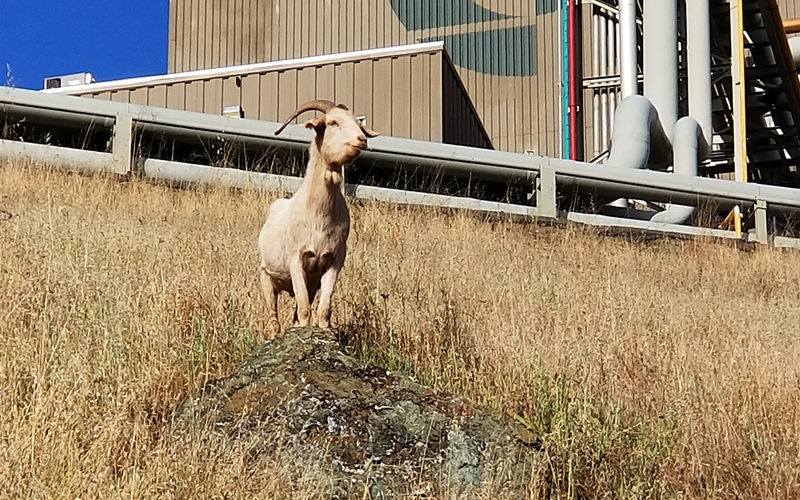 Companies like The Goat Works, City Grazing, and We Rent Goats (which operates in Washington, Oregon, Idaho, Montana, and Nevada) all market their herds as an ecofriendly method of fire prevention. One of the co-owners of California-based Ranchito Tivo told the LA Daily News that he now receives more calls for work than his goats can handle. The increased demand has even spawned goat franchises like Rent-A-Ruminant and Rent a Goat. Most of the goats in Canaday’s herd are rented to large landowners like golf courses, government agencies, and utilities. He doesn’t take projects less than five acres in size, and some brush-clearing projects consist of hundreds of acres. Canaday and his crew of 14 herders erect portable fencing to contain the goats, fills water troughs, and set the herds loose on sites from Santa Rosa in Northern California to Orange County. Herders move the herds (which can include as many as 450 goats) almost daily, establishing a grid for targeted vegetation removal. Then the caprine cleaning crew noshes all the shrubbery in their path and, voila, the cleared area becomes a firebreak. Tony Gonzalez, owner of Gonzalez Brush Busters, is another goat herder who is hiring out more goats than ever before. 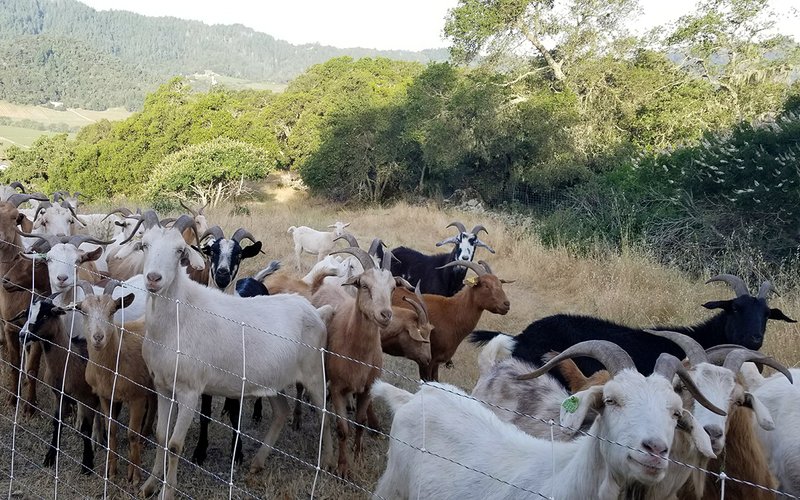 Gonzalez rents his herd of Kiko goats to clear brush on plots of land ranging from half an acre to more than 50 acres around Lake County, California. About three-quarters of the calls Gonzales receives are from homeowners associations, businesses, and public agencies located near previous wildfires. “Once fire season starts, the phone never stops ringing,” says Gonzalez, who plans to double the size of his 200-goat herd. His current herd is almost entirely booked for the 2019 fire season. Goat herders like Canaday and Gonzalez say targeted grazing for fire prevention is a more environmental method than chemical brush removal and safer than controlled burns or mechanized abatement that could, during times of drought, spark an out-of-control fire. 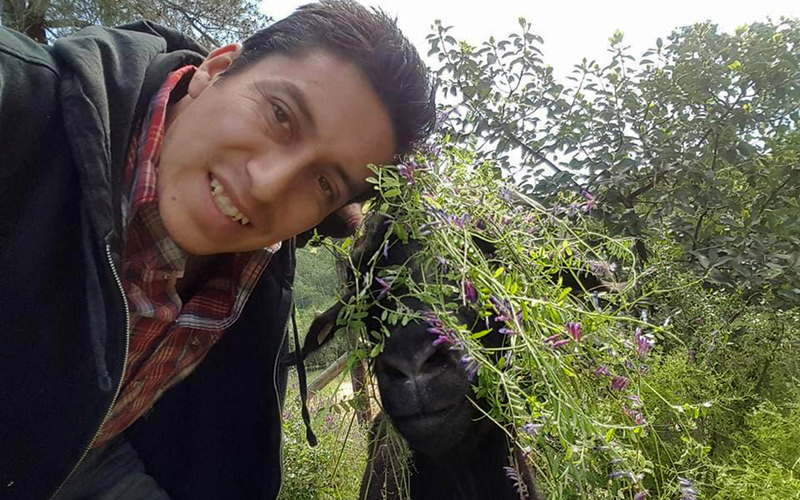 “Once people see what the goats can do, they want us to come back,” Gonzalez says. Although goats are adorable and the demand for ruminant rental is on the rise, Canaday cautions that the business is far from a get-rich-quick scheme. In addition to upward of $100,000 in initial investment for grazing land, livestock trailers, portable fencing, and a herd of goats, the animals require constant oversight. The recent escape of 118 goats hired through We Rent Goats to clear public lands near a Boise neighborhood is an example of what can happen if herders leave the animals unattended. Spix’s (little blue) macaw (Cyanopsitta spixii), mounted specimen at Museum fur Naturkunde, Berlin. 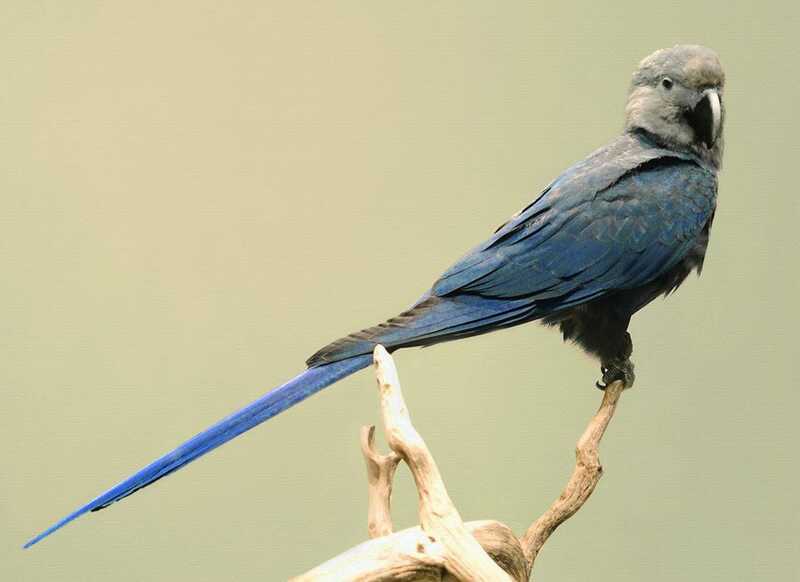 Spix’s macaw is extinct in the wild. Thanks to our best efforts to completely remake the world according to our standards, eight more species of birds are probably extinct, including three species of parrots, according to a new study by Birdlife International. 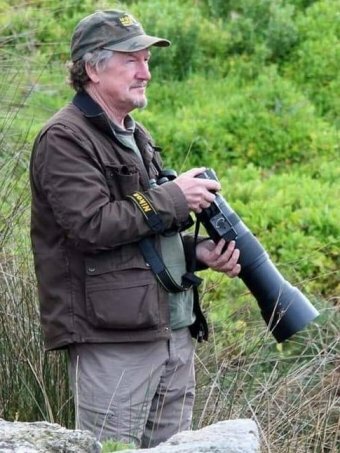 This new study, led by BirdLife International’s Chief Scientist, Stuart Butchart, and his collaborators tested six statistical methods to analyse 51 Critically Endangered birds, using a range of thresholds to assign species to the IUCN Red List Categories, and compared their results with the species’ current categories (ref). The methods simultaneously quantified three factors: intensity of threats, timing and reliability of records, and the timing and quantity of search efforts for the species. Based on their analysis, Dr. Butchart and his collaborators recommend that if both the probability that a species remains extant based on threats and the probability based on records and surveys falls below 0.5, it should qualify as Critically Endangered (Possibly Extinct), whereas if both probabilities fall below 0.1 it should qualify as Extinct. Their novel approach resulted in an 80% match with the current IUCN Red List classification of species. Based on their analysis, Dr. Butchart and his collaborators recommend that eight birds be reclassified on the IUCN Red List, with three being reclassified as Extinct. Historically, most avian extinctions resulted from the impacts of invasive alien species (46%) and hunting/trapping (26%) on islands. But surprisingly, Dr. Butchart and his collaborators found that five of the eight confirmed or suspected extinctions took place on the South American mainland, with four of them occurring in Brazil, a disturbing finding that reflects the devastating effects of habitat loss due to rampant deforestation in this part of the world. Chromolithograph of a pair of New Caledonian (diademed) lories (Charmosyna (Hypocharmosyna) diadema). Plate LIV from A monograph of the lories, or brush-tongued parrots, composing the family Loriidae, by St. George Jackson Mivart (1827–1900). Artwork by John Gerard Keulemans (1842-1912), published by R. H. Porter (London) in 1896. 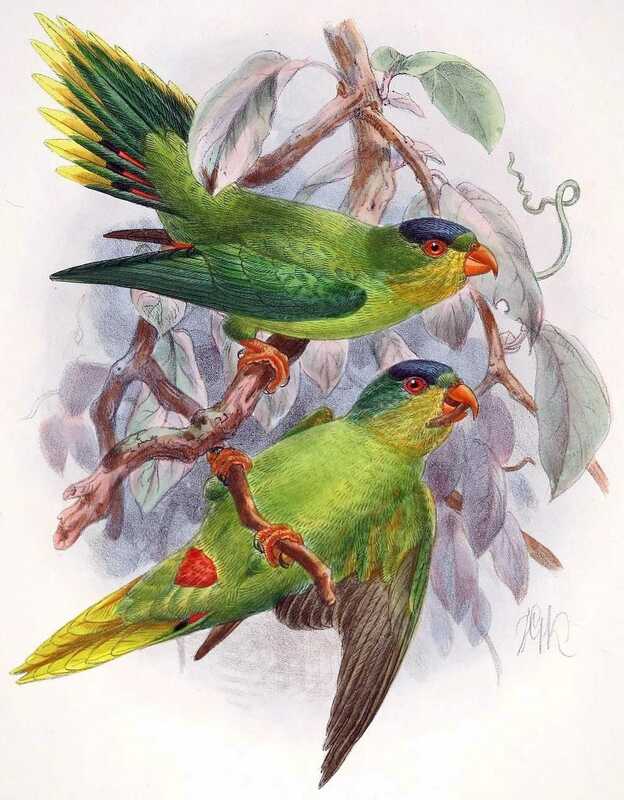 The extinct parrots include the elusive New Caledonian lorikeet, Charmosyna diadema (last spotted in 1987), an island species that nested in arboreal termite nests or epiphytic ferns in the forests of New Caledonia. Although it is not clear, this mysterious little parrot could have been driven extinct by one or more of a variety of threats: introduced rats, cats, or habitat fragmentation and destruction. The extinct glaucous macaw (Anodorhynchus glaucus) was a large blue South American parrot. This macaw was closely related to Lear’s macaw (A. leari) and the hyacinth macaw (A. hyacinthinus), both of which still exist, but are endangered. In its native home of Guaraní, the glaucous macaw was locally known as guaa-obi for its vocalizations. 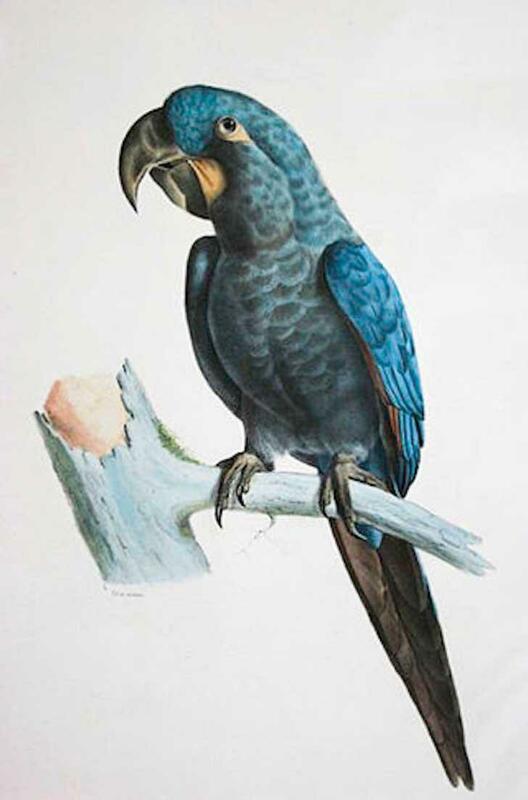 Two of the four South American blue macaw species are also recommended to be classified as Extinct: the glaucous macaw, Anodorhynchus glaucus (last seen in 1998), and Spix’s (little blue) macaw, Cyanopsitta spixii, which Dr. Butchart and his collaborators recommended be treated as Extinct in the Wild, since there is a captive population estimated to number somewhere between 60-80 individuals. The disappearance of the glaucous macaw from its range in Argentina, Uruguay and Brazil is linked to trapping for the wild bird trade (as is true for all the blue macaws), and to large-scale agriculture, which prompted uncontrolled clearing of the yatay palm, Butia yatay, whose nuts were its primary food. The public first became aware of the plight of the Spix’s macaw after watching the 2011 animated film Rio, which tells the story of Blu, a captive-raised Spix’s macaw who travels to Brazil to mate with Jewel, the last-known wild member of the species. Later in 2016, the conservation and parrot worlds were briefly set aflame with hope when an individual was spotted and filmed flying over the small town of Curaçá, which is in this species’s historic range (more here). Sadly, that individual, which has never been seen again, is believed to have been an escaped cage-bird. In addition to the two extinct macaws, two endemic Brazilian songbirds are also listed as Extinct -- the cinnamon-colored cryptic treehunter, Cichlocolaptes mazarbarnetti (last seen in 2007), and its doppelgänger, the Alagoas foliage-gleaner, Philydor novaesi. Both birds disappeared after the last remnants of their forest habitat were replaced with sugar cane plantations and pasture. The Alagoas foliage-gleaner actually managed to hang on until 2011, when it was last sighted and filmed. Recordings of both species’ songs and calls exist (for example, here and here), and serve as a haunting reminder of these lost species. The Pernambuco pygmy owl, Glaucidium mooreorum, is a small insect-eating owl endemic to the state of Pernambuco in Brazil. Although it was last seen in 2001, it was only formally described as a species that was new to science in December 2002 after two study skins were examined (ref). Due to the almost complete destruction of its habitat by illegal logging, this owl species was recommended to be treated as Critically Endangered (Possibly Extinct). 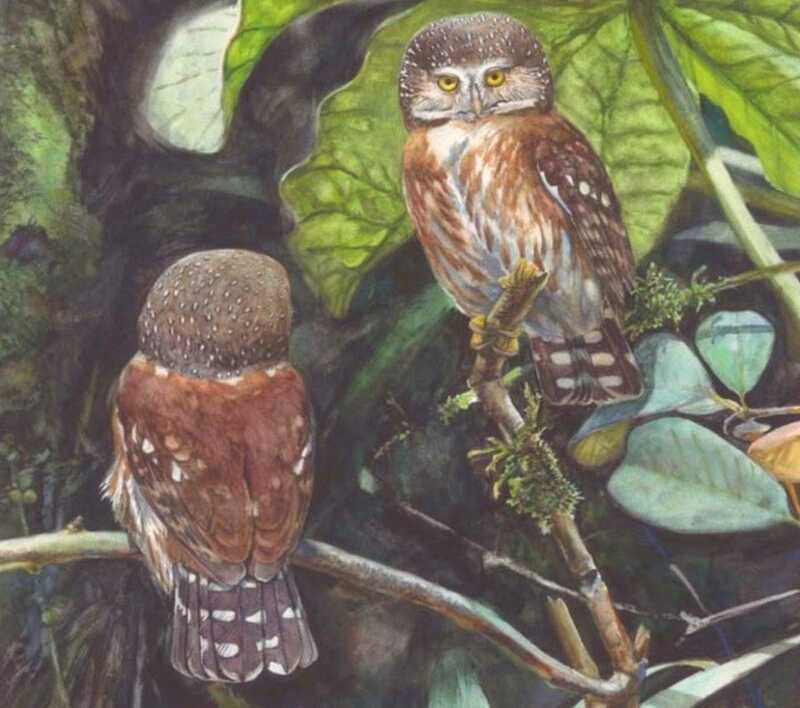 Pernambuco pygmy owl, (Glaucidium mooreorum) was only discovered when we killed it off. Another island species, the po’o-uli, or black-faced honeycreeper, Melamprosops phaeosoma, was also recommended to be treated as Extinct. 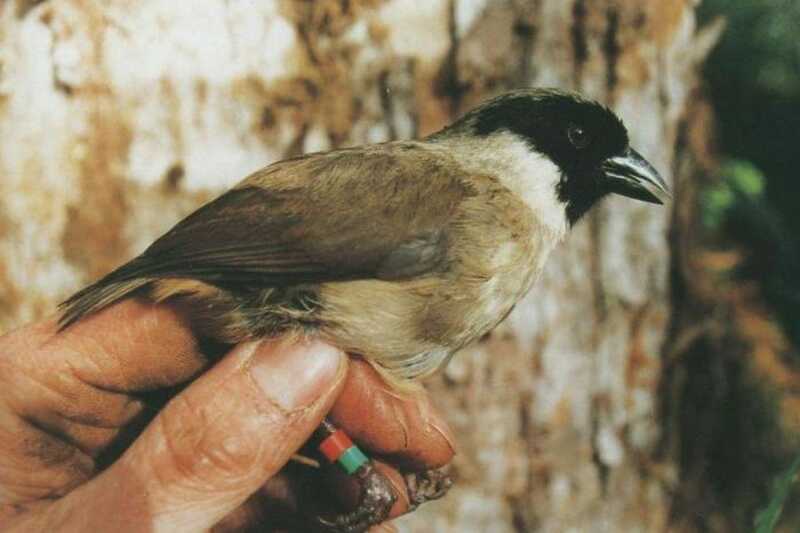 The po’o-uli was a snail-eating Hawaiian songbird that has not been seen in the wild since 2004, which is the same year that the last captive individual of the species died (you can read more in my review of the book detailing the heartrending conservation effort devoted to this species). A wild po’o-uli (Melamprosops phaeosoma) in Hawaii. 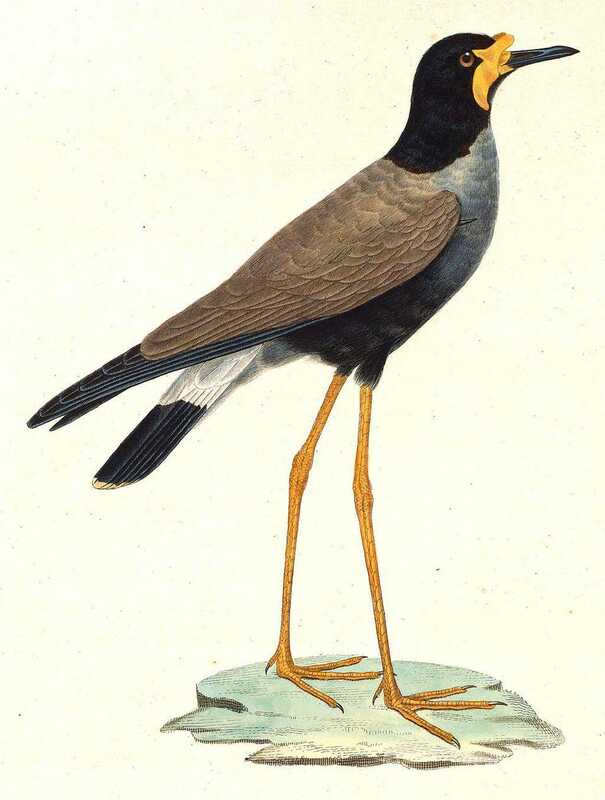 The Java lapwing, Vanellus macropterus, is another island species that was recommended to be listed as Critically Endangered (Possibly Extinct). Large with extremely long legs and distinctive plumage markings, this wading bird was really difficult to miss, and it was last spotted in 1994. It inhabited marshes and river deltas of Java, and possibly Sumatra and Timor as well. This species succumbed to extensive habitat degradation and destruction of its marshy home, combined with relentless hunting. Adult male Javanese lapwing, (Vanellus macropterus), was a large, long-legged wader that inhabited the marshes and river deltas of Java, and possibly Sumatra and Timor. It went extinct due to extensive habitat degradation and destruction, and because it was relentlessly hunted. As I read this study, I was concerned that the models predict higher than expected probabilities of survival based upon unsubstantiated observations. One such example is the ivory-billed woodpecker, Campephilus principalis, which is certainly extinct and likely has been since the early-to-mid 20th Century, despite the presumption by Dr. Butchart that it may have been alive in 2006, but may now have gone extinct (ref). “The issue is, where do these ‘expectations’ come from?” said ecologist Mark Burgman, a professor at The University of Melbourne, who specializes in applying model-based risk assessments to problems in conservation biology, and who was not part of this study. Rare species are often elusive, and may live in terrain that makes it difficult to see them even under the best of conditions. On the other hand, it’s important to remember that essential resources for conservation efforts are often in short supply. “We’ve got limited conservation resources so we need to spend these wisely and effectively. If some of these species have gone we need to redirect these resources to those that remain,” Dr. Butchart said in email. Recognizing that accurate assessments of the moment of extinction are difficult to make with many elusive species, the paper’s authors point out that the “possibly extinct” classification is an extremely cautious judgment which almost certainly means that the species has vanished. This method could be applied to other taxa, such as mammals, amphibians, or even plants, according to Dr. Butchart, who said their methodology would increase the robustness of extinction rate estimates and species classifications on the IUCN Red List. There are plenty of “test candidates” available: currently, more than 26,000 species worldwide are now threatened with extinction according to the most recent Red List. Because humans are driving this, the Sixth Great Extinction Event, plenty more species are being added to the list. Dr. Butchart and his colleagues’ statistical model estimates a revised total of 187 avian extinctions have occurred since 1500. “The results show that the state of the world’s birds is significantly worse than previously estimated,” Dr. Butchart said in email. Yet, there is still hope. This analysis provides conservation biologists with vital information on where to focus their efforts. 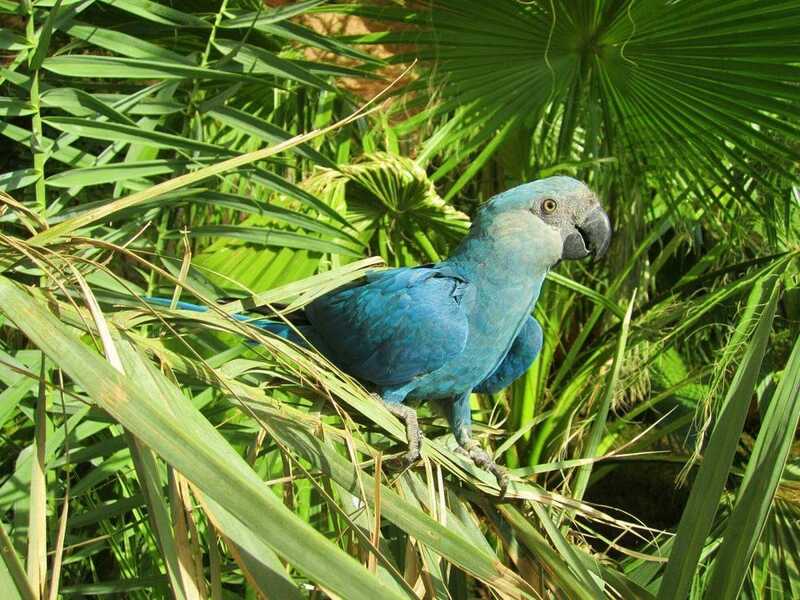 A captive-bred Spix's macaw (Cyanopsitta spixii) at Al Wabra Wildlife Preservation in Qatar. This brings us back to Spix’s macaw, which is Extinct in the Wild, but still exists in captivity. Has this species been saved? Considering that many species lose their wild culture after being taken into captivity, at least some people think a species hasn’t been “saved” at all if it only exists in a cage. Certainly, it would be a grave injustice to suggest that captive breeding alone is conservation: on one hand, aviculture is a wonderful tool for helping to preserve a species, but on the other hand, it does not and cannot solve ecological problems. The pomegranate market is at a tipping point. 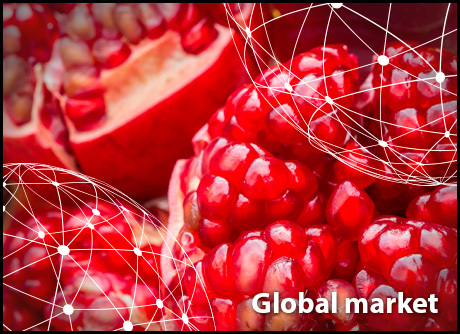 The last Peruvian pomegranates are on the market in Europe, while the first early varieties are already being harvested in the Mediterranean countries and the US. European traders look back on a difficult summer with large volumes and a low price. Now the sector is preparing for a European season with small sizes. The first pomegranates have also been harvested in California and India. This is an overview of the world market. According to a large exporter, the market situation for pomegranates is comparable with that of avocados. The season runs from February to June/July. Many growers bet on an early start of the season and therefore choose early varieties. These varieties can be harvested earlier than the Wonderful. When the season started, the prices were very good, according to a trader, but then there was so much volume on the market that prices plummeted. Production is growing annually, and although consumption is also rising, it is doing so at a slower pace. Consumption growth is lagging behind the growth in production. Europe is the most important export market for Peru. Many pomegranates are distributed across the rest of the continent via the Netherlands. Exporters are looking for new markets for next year. Small volumes were already shipped to the US this year, but exporters would also like to see the government helping in the opening of the Chinese or Brazilian markets. As a result, a smaller volume will go to Europe, which is better for the prices. The season has just started and the outlook is good, with large volumes expected. At present, exports are only going to markets in the Middle East. Exports to Europe will start later. Indian traders say that there is a lot of competition from Egypt. The Chinese season has been good this year. Thanks to the favorable weather conditions, the harvest volume was 30% greater. This good weather also had a positive impact on the quality of the fruit. The prices fluctuate per season, but have a fixed pattern. At the start of the season, high prices are recorded, but when the volume available on the market grows, the price sets an opposite trend. After the Moon Festival, prices are usually on the rise again. In addition to its own production, which is mainly found in the provinces of Zhenzhou and Henan, the fruit is imported from Egypt and other countries. Chinese importers have shown interest in the large volumes harvested in Peru, but since there is no import protocol for Peruvian pomegranates, these are currently out of reach for them. The harvest in California started slowly last month with the early varieties, like the Foothill and Granada. "We have warm days and cold nights, which is good for the coloring and the sugar content." Also, the region was not hit by heat waves in July and August, allowing the harvest to start at a normal time. The prospects are good for the early varieties, but for the later varieties, including the Wonderful, a lower yield is expected. "It seems that the Wonderful production will be 15% smaller than usual," said a trader. This lower yield is the result of a frosty period late in the flowering season. 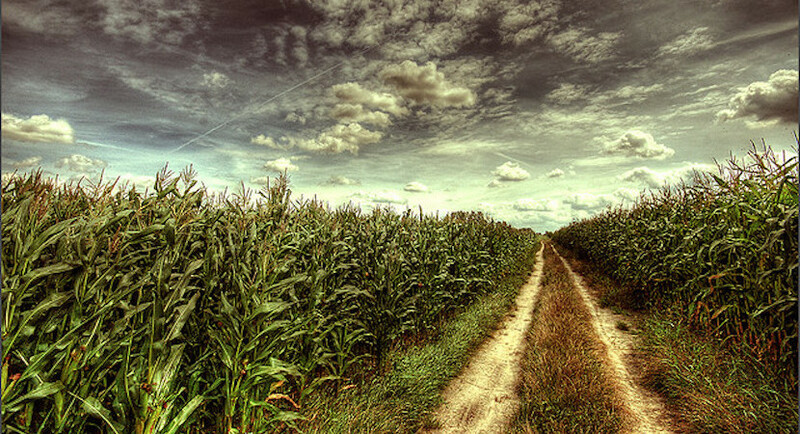 The season usually runs from August to January, although the harvest stops in November. Outside the domestic season, Chile and Argentina take over the market. Traders see a positive development in the market, both at a domestic and international level. This, in combination with the expected smaller harvest, will yield good results. The fruit benefits not only from the promotions that are launched at the start of the season, but also from current health trends. California exports its pomegranates to Japan, South Korea and Australia, but the largest consumer is Canada. On average, exports amount to 1 to 2 million boxes. The pomegranate market is growing, especially on the east and west coasts of the continent. The domestic market absorbs between 25 and 40% of the harvest, depending on the time of the season. In addition, pomegranate arils are available all year round. As a result, the market is growing, says a trader. "When consumers realize that the arils are available all year round, the number of repeat purchases increases." Over the past two seasons, the weather has had a negative impact. Because of the rain, the harvest came to a halt early. "Rain results in the fruit tearing and 25% of the harvest was lost because of the weather," recalls a trader. The Egyptian season is about to begin and the prospects are good. A large exporter says that they have significantly increased their production. He expects to put 25% more Wonderful pomegranates on the market this year. That should lead to the company's exports totaling about 1,000 tons. The fruit's main buyers are Canada, Russia and the local market. "Our biggest competitors are Turkey and Greece, which have good export markets for this fruit. The season kicked off last week with the harvest of the first early varieties, such as the Smith and Acco, in the east of the country. The harvest of the later varieties in Valencia starts in about ten days. There, a smaller yield and smaller sizes are expected. The harvest of the Valenciana pomegranates started this week. This is a descendant of the Mollar, the variety that dominated the production in Valencia almost ten years ago. Recently, growers have been switching to varieties with a more attractive appearance. There were some heat waves during the growing season. This, in combination with the dry weather, resulted in smaller sizes. There are a lot of calibers 14 and 16 available, while the market usually demands the 10 and sometimes the 12. "Retailers have to adjust their size requirements for this season; otherwise, there will be very few pomegranates on the shelves," says a grower. Consumers prefer the large sizes, because they are easier to process into juice. The Spanish season is starting at a time when the market is in a dip price-wise, due to the large volumes supplied by Peru. "We are having some overlap with the end of the Peruvian season. The import season was catastrophic due to the huge volumes, which caused prices to drop to a level that I thought was impossible," says a trader. Currently, there are still size 8 and 10 Wonderfuls from Peru available. "We are having a tough start. If our season had not been delayed, the problems would be even bigger." The last overseas pomegranates will disappear from the market in the next two weeks. Then it will be time for the European production. "We still have to wait and see how Turkey, Israel, Egypt and Tunisia will influence the market," continues the trader. What is certain is that there is, as with citrus, a lot of competition from Egyptian pomegranates. This competition is especially strong after the devaluation of the Egyptian pound. Pomegranate marketers have had a very difficult summer. Due to high volumes from Peru, prices fell to a dramatically low level. The volumes that are now on the market are just meeting the demand. Soon, the pomegranate season will start again in Spain, Egypt, Portugal and Greece, and larger volumes will come on the market again. The varieties that are now on the shelves come, for the most part, from Israel. The quality of the pomegranates is good at the moment, but none of the earlier varieties are as popular among customers as the Wonderful (mainly due to the short shelf life and frequent peel damage). Prices are currently falling slightly, but are still higher than those recorded this summer. The demand for pomegranates in Belgium remains stable, but the popularity of the fruit is increasing. The way in which it is eaten is still a stumbling block for many consumers. Turkish pomegranates are currently very popular on the German market. These have been on the market for about 2 months and, as it looks now, they will continue to be sold until mid-January and February. The price per kilo for buyers amounts to between 0.50 and 0.80 Euro. In the retail, the price level currently fluctuates between 1.30 and 1.50 Euro per kilo. This, as confirmed by traders, is approximately the same as around this time last year. Egyptian pomegranates are also available here and there; these play a subordinate role on the larger wholesale markets. The market for pomegranates is small, but has grown considerably over the last two to three years. The first annual meeting of pomegranate growers was held in April of this year. Furthermore, investments are being made in research. For example, there is a study into new varieties in which 300 potentially new varieties are tested at different test locations across the country. The harvest takes place in the Australian summer and autumn months. The producers not only supply the pomegranates to the fresh market, but also process them into convenience products. The market is growing under the influence of current health trends. Earlier this year (April 7, 2018) there was a report of a Hepatitis A infection, but the source was outside of Australia. The authorities in New South Wales emphasized that Australian pomegranates are clean. (Bloomberg) – An absence of reliable collateral in South Africa’s farming industry will constrain agricultural finance, the Agricultural Business Chamber told lawmakers who are reviewing the nation’s constitution to make it possible to expropriate land without compensation. Total farm debt amounts to more than R197 billion ($12.8 billion), about three-quarters of which is collateralised through the value of the land, the chamber known as Agbiz said in an emailed statement. Expropriation would pose a risk to commercial banks, which have R148 billion of exposure, and to the state-owned Land & Agricultural Development Bank of South Africa, which has R49 billion. President Cyril Ramaphosa’s party has embraced land expropriation without compensation as a means to achieve equality and racial justice. The African National Congress says the constitutional change should make it clear under what conditions farms can be taken. The chamber’s alternative suggestions to fast-track land reform include the state partnering with the private sector and using a portion of its budget to support public-private partnerships. Systemic bottlenecks that are hindering land reform include issues with beneficiary selection, legislative gaps, poor post-settlement support and poor implementation of existing policies, it said. White South Africans own 72 percent of the country’s commercial agricultural land, according to a state audit. Addressing a standing room only crowd of global agriculture experts at the FAO headquarters in Rome, 2017 World Food Prize Laureate and President of the African Development Bank (www.AfDB.org), Akinwumi Adesina, says the answer is a resounding yes! To expand opportunities for youth, women, and private sector players, Adesina is on a global mission to promote and seek support for the bank’s Affirmative Finance for Women in Africa (AFAWA) program which aims to mobilize $3 billion to support women entrepreneurs who historically lack access to finance, land, and land titles; a $300 million ENABLE Youth program to develop the next generation of agribusiness and commercial farmers for Africa; and a new global investment marketplace, the African Investment Forum, which will be held in Johannesburg November 7-9. Xi offered the funding at the start of a two-day China-Africa summit that focused on his cherished Belt and Road initiative. The money — to be spent over the next three years — comes on top of $60 billion Beijing offered in 2015. “Time has come for African leaders to critically interrogate their relationship with China,” an editorial in Kenya’s Daily Nation said Monday. South Africa will learn Tuesday whether the country has entered a technical recession when Stats SA releases real gross domestic product figures for the second quarter of the year. In early June Stats SA announced that SA's GDP had contracted by 2.2%. Economists view two successive quarters of negative economic growth as a technical recession. Another quarter of negative growth would come as knock to President Cyril Ramaphosa's plan to ignite the country's economy and grow jobs by attracting billions of rands in foreign direct investment. Stats SA will release the GDP figures starting at 11:30 in Pretoria on Tuesday. Mamello Matikinca, Chief Economist at FNB, says that while the bank believes SA will stave off a technical recession, it will be a 'close call'. "Data suggests that the economy expanded by 0.5% quarter on quarter seasonally adjusted and annualised, but we caution that there is high, two-way forecast risk depending on whether there are any revisions to the first quarter data," she says. The broad-based economic weakness suggests that our growth forecast for this year may well be too optimistic, as the growth required in the third and fourth quarter to achieve it will be a very tall order." The ostrich is native to Africa, where it lives in groups across the continent, but a very small number of them also call outback South Australia home. It's estimated that very few of the large birds, which can grow to be almost three metres tall, still roam the red centre. The birds were introduced into South Australia in the 1890s, and then again in the 1970s, when attempts were made to farm them for feathers and meat. However, most farms failed, and the flightless birds were released into the wild, where they have survived. "One of the problems ostriches had in Australia was actually breeding well — they had a lot of infertility problems with the eggs," said SA Arid Lands' manager of scientific services Rob Brandle. "Because they're quite a long-lived bird, they do survive in areas for a fair while and they're quite mobile as well." Mr Brandle said the remaining ostriches that roam the outback are likely the same ostriches that were released from farms in the 1970s and 1980s. He said the ostrich was able to survive in the Australian outback because the climate is similar to Africa's. "Maybe we're a bit drier here overall, which is maybe why they don't do as well as something like emus," Mr Brandle said. 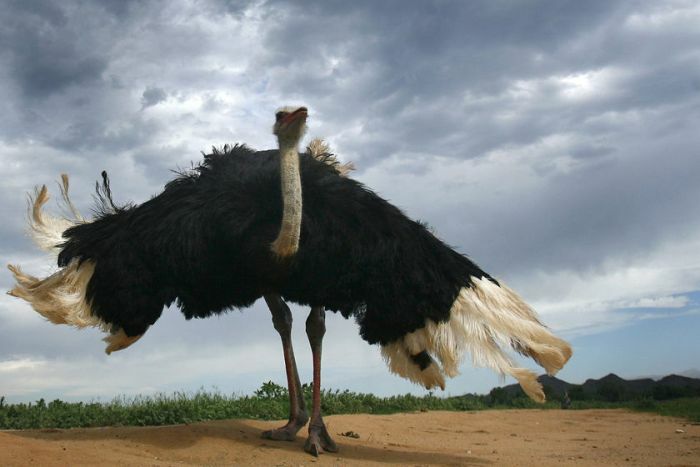 Mr Brandle said, because of their sporadic and limited population, ostriches were unlikely to survive in the long-term. He said it would be a lonely life for an ostrich in the Australian outback. "[There's] not a viable population, so I don't think they're going to breed up and go feral," he said. "There could be occasional successful breeding of them — the adult birds lay a lot of eggs." 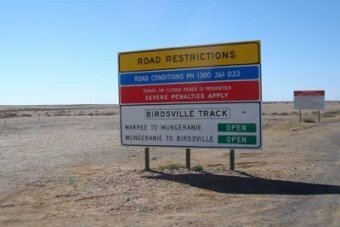 With the ostriches' low fertility rate and extremely small population, Mr Brandle said the birds were unlikely to see out the century in the outback. 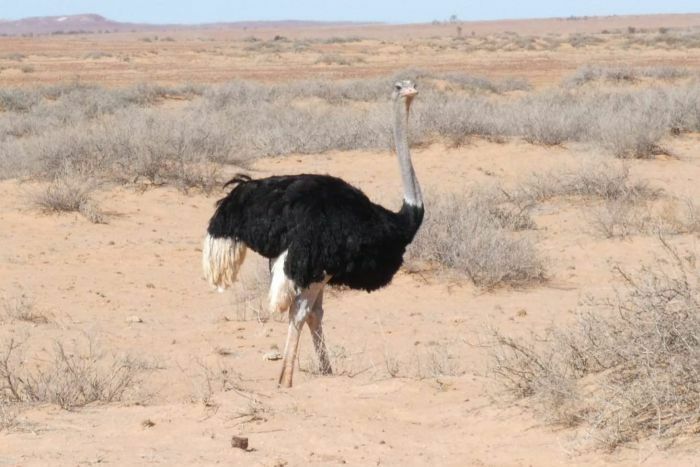 A video of an ostrich was recently recorded by a tourist 80 kilometres north of Marree along the unsealed Birdsville Track. That video was likely filmed on Dulkaninna Station and its pastoral lease holder, David Bell, said he saw a very similar ostrich quite frequently. "My son calls him Pete," Mr Bell said. "He rocked up six or seven years ago. "Sometimes you might see him every couple of days and then you might not see him for a couple of months." Mr Bell said, while there were never other ostriches with Pete, the bird got along well with other animals, including his cattle. "He doesn't really cause any dramas at all, he does his own thing. "You drive up to him and he runs away. "He's fairly easy to have around." Another pastoralist told the ABC there used to be an ostrich farm on his property. He said up to 60 ostriches used to live there, but those numbers have since plummeted. He said he still finds infertile ostrich eggs. South Australia's Minister for Primary Industries and Regional Development Tim Whetstone said ostrich farming could still be viable, despite its poor performance in the past. "But if we're looking at ostriches running wild in pastoral country, I think we need to just gain an understanding of how many of the birds are roaming wild," he said. Goats and rabbits are among the most invasive introduced species that live in regional and remote South Australia and Mr Whetstone said they were a much bigger issue. "With 50 or 60 ostriches roaming the outback, I think we need to have a watch and brief on just what their movement is, what the impact on the landscape is," he said. "I would like to think that if they could be farmed or harvested, they could be turned into a business." Because of their scarcity, ostriches are a sought after species for 'twitchers' to tick off their bucket list. A twitcher is a bird enthusiast who travels long distances to spot rare and exotic birds. "The ostrich is certainly one that, even though it's not a native, it's on the Australian bird list," said BirdsSA president John Gitsham. "There'd probably be a few birders wandering around the outback trying to find ostriches, so they can tick it off their list. "If you happen to find one, enjoy it for what it is, appreciate that they're magnificent, [and] probably the largest bird species in the world."